Product #1221 | SKU C54-3791-211 | 0.0 (no ratings yet) Thanks for your rating! This Converter is dedicated exclusively to the 50mm f2.5 Macro lens. 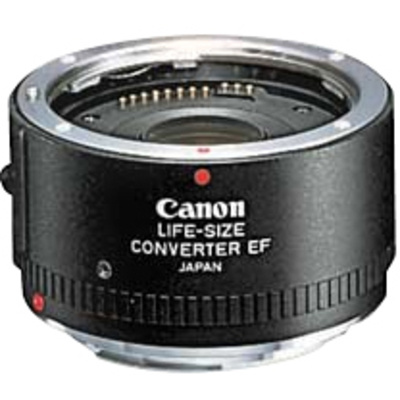 The Canon Life-Size Converter EF is dedicated exclusively to the 50mm f2.5 Macro lens. Unlike a conventional extension tube, the Life-Size Converter EF has a 4-element optical design that acts like a tele-extender, allowing magnifications from 0.26x to 1x while increasing the working distance from the front of the lens to the subject.